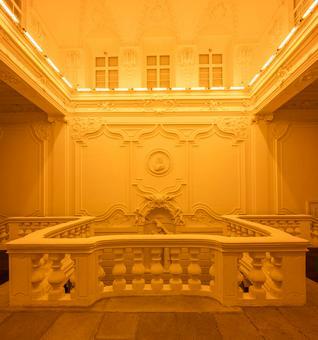 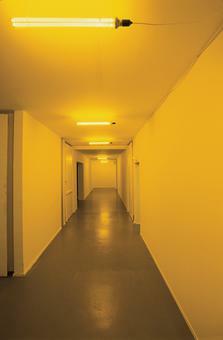 A corridor is illuminated by monofrequency light. 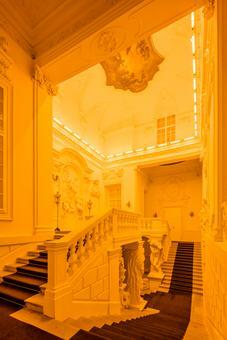 The monofrequency lamps, mounted to the ceiling of the room, emit yellow light that reduces the viewers' spectral range to yellow and black. 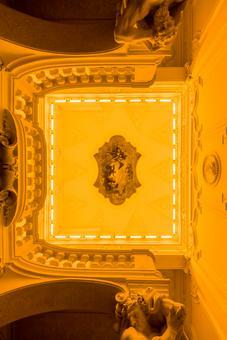 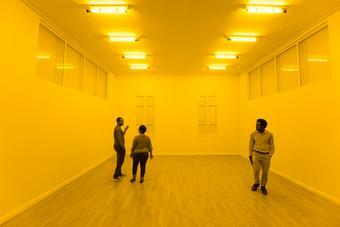 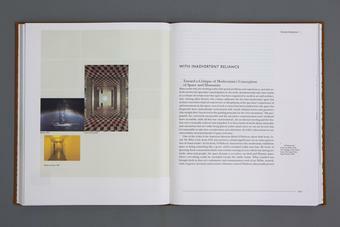 In reaction to the yellow environment, viewers momentarily perceive a bluish afterimage upon leaving the space. 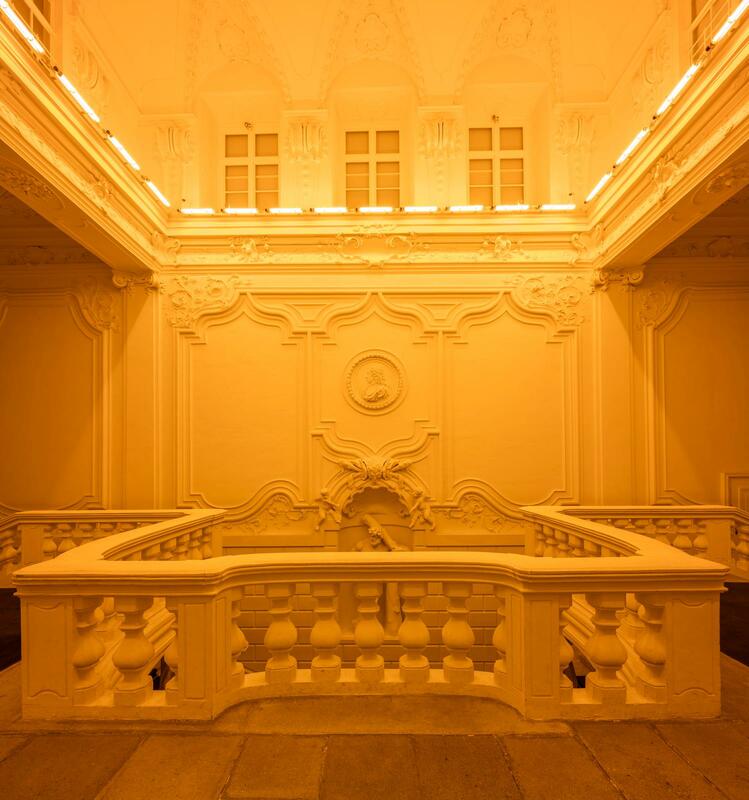 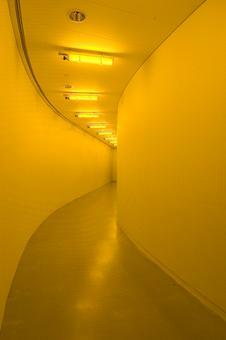 By limiting the perceivable colour spectrum and imposing monochromality, the Yellow corridor endows the visitor with a hyper-detailed vision and a heightened sense of awareness.